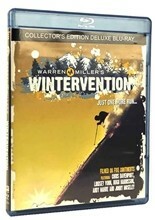 4-DVD Collection includes: Run time approximately 3.5 hours. Get the tightest in jib style and culture with air, cliffs, rails, urban, pipe, and a ton more in this 4-DVD set. Visionaries and favorites like Jeremy Jones, Micah Black, and Kent Kreitler fuse jib and big mountain styles in The Prophecy; follow the new generation of skiers in Salad Days; then Candide Thovex, Les Trois, and others push the sport into new ground in Further. Catch tricks you’ve never seen before in Continuum. 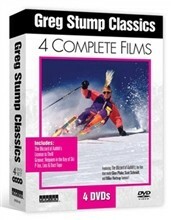 The best sport ski photographers bring you the best new skiers in DVD Maximum: Steep, Deep & Launched. Glimpse the future of riding where the disciplines of big mountain and jib fuse together to begin the next major phase in the progressing of riding. See visionaries like Jeremy Jones, Micah Black, and Kent Kreitler step up and change the game. salad days noun: a time of youthful indiscretion and delinquency. What are the salad days? See the answer with the tightest in jib style and culture with backcountry air, cliffs, rails, urban, pipe, and more. Witness skiing’s new generation’s happy days – the salad days – when the boys are green in judgment and cold in blood. Watch spine-chilling accounts of the sport’s most progressive athletes in the world’s most insane locations. Candide Thovex throws d-spin 720s over a 120-foot gap and Black, Nobis, and Jones rip classic Alaskan lines at over 70 m.p.h. Check out Les Trois Philips breaking ground in the new millennium with never-before-seen tricks and mad footage from big air comps and terrain parks around the world. This all-time favorite is all about extreme snow action. 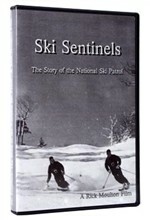 Footage shot on location in the packs of Idaho, Wyoming, Alaska, and New Zealand won two awards at the International Film Festival and was voted Best Movie of the Year by France’s acclaimed SKIER magazine.